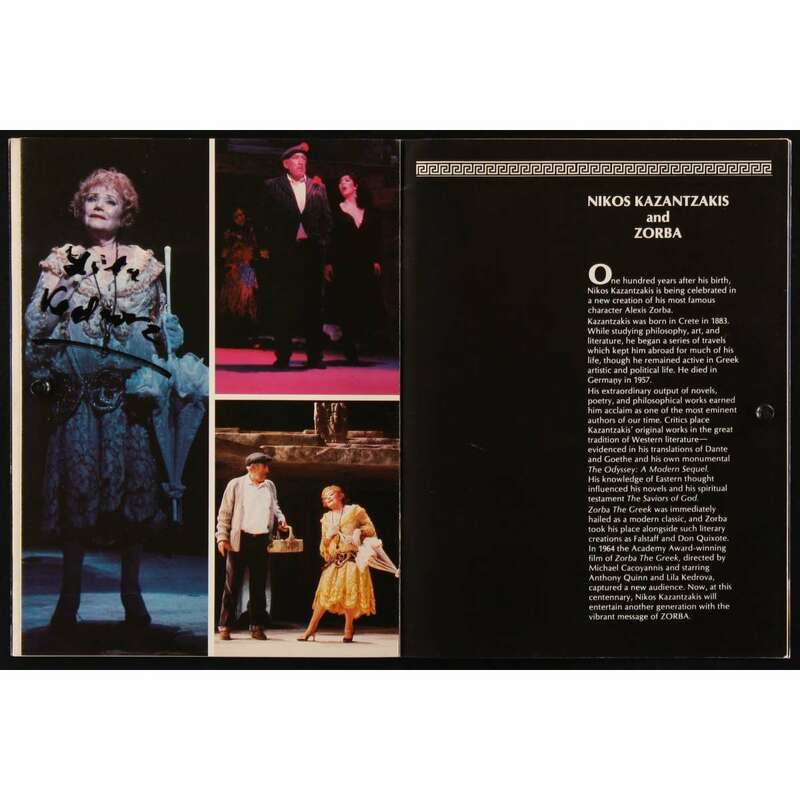 ZORBA signed stage play souvenir program book 1983 by BOTH Anthony Quinn AND Lila Kedrova! 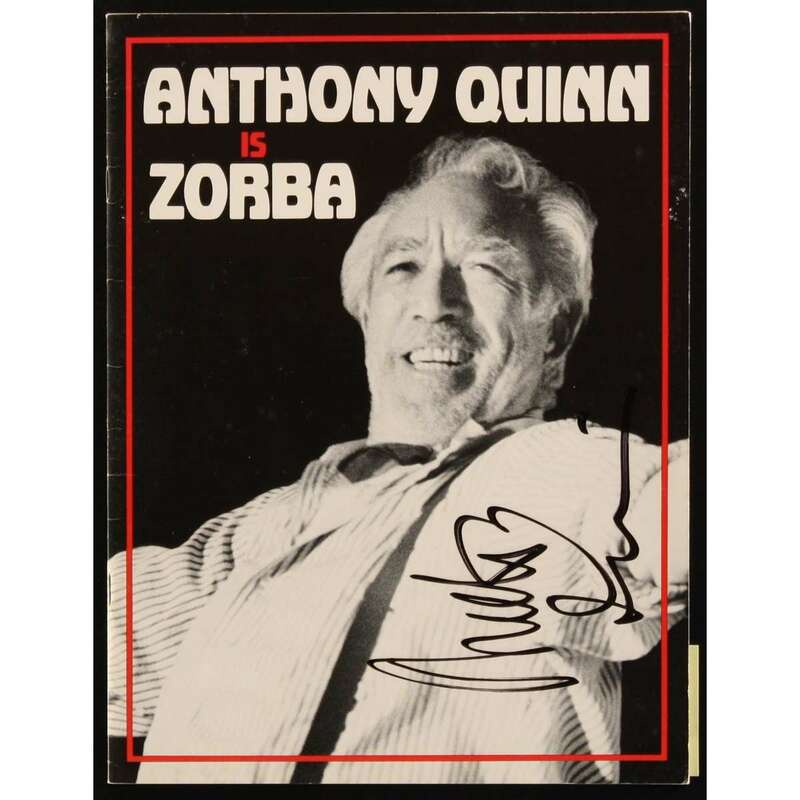 > Autographs>ZORBA signed stage play souvenir program book 1983 by BOTH Anthony Quinn AND Lila Kedrova! An Original Vintage Autographed Stage Play Souvenir Program Book (measures 9" x 11 3/4" [23 x 30 cm]; 24 pages approx). Also included is a supplement that has 4 pages. Condition: Very Good to Excellent (C7) See our 10 GRADE SYSTEM Page for more information.